Making movies not only require an advanced camera but it also require many video editing skills. So if you egger to add some professional skills to your videography then you must have a video editor in your system. 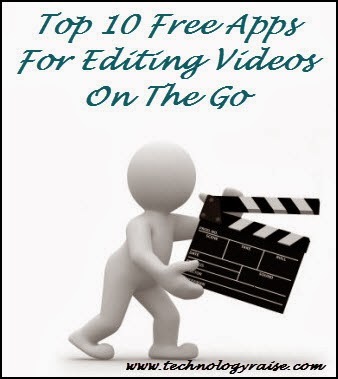 Video editors which are used commercially are very expensive but you can also give best touch to your videography by using some free apps for editing videos. With this application you can easily trim the size of your videos or you can add captions, soundtracks to them. Inserting special effects and transitioning them will give your video a complete professional look. Now let’s discuss some advanced free tolls which can help you to do so. 1. WindowsMovie Maker 2012:- This famous video editing tool is among the best free tool available for modifying videos. You have to only drag and drop some clips in your program. Transitioning video is also an added feature with this application. If you will insert some special effects with this tool then your video will look awesome. Adding sound tracks, credits, captions are a game of only few clicks. After doing all these things you can easily upload your video to Face book, YouTube or many other sites available. 2. Kate’s video toolkit: - There is nothing as surprising about Kate’s Video Toolkit as it provides some basic but useful video editing features. So you can easily trim your files and can fix them. Linking two videos together is an easy job. You can also make a sequence of videos with some custom soundtracks. You can also convert its file format with its file format conversion tool. The main advantage of this tool is that it is very easy to use. 3. Avidemux: - This is small but very useful video editing tool available as open source video editor. It helps you to join video clips, cut them. You can also apply a lengthy list of filters. There are many other useful options available by which you can make sure that every thing goes right. This tool is fun to use and you can spend lots of time by experimenting with it. 4. VSDC free video editor: - This video editor is very useful but you have to spend lots of time to learn its useful features. If you will go through it then you will find much functionality which is very useful and easy to use. You will also get a save option after completion of your project. Optimization of movies for various devices is an added feature. Main drawback of this tool is that, with this lots of useful documentation does not work. 5. MPEG Stream clip 1.2.1b6:- With a download size of 327 KB, MPEG stream clip is a very powerful video editing tool. It comes with many features which can be operated very easily. The program in MPEG Stream clip has capability to open various files, URLs of video stream, DVDs. It can also trim, copy, cut, paste your clips. It also has capability to do experiments with your soundtracks. But its drawback is that some MP4 files do not work with this tool. 6. Virtual Dub: - This tool works well with AVI files. These tools also have plenty of offers which you can use in your videos. Its user interface is very clean and you can easily navigate through it. Trimming videos is also very easy. There are many options like filters, re-size, rotate, blur, sharpen, color, brightness and contrast tweaks. In addition to sit there are many plug-in available which also help you to make a perfect professional video? 7. Free video dub: - The main advantage of this tool is that the code is not modified after editing. So here you can do any type of editing without modifying code. So with this video editing tool you can do lots of useful work while keeping original code retained. You can also use that code for future work. Also if you want to prank someone then this tool is very useful. 8. Light works: - If you want a real power for editing your video then you can use light works. This tool is best for free packages. It is blessed with features timeline, strong multi cam support, real-time effects, smart trimming etc. This free tool has also helped to produce lots of top Hollywood movies like Batman, Mission Impossible etc. 9. Free make video converter: - It is basically a video conversion tool but it can also be used as a video editing tool. You have to only drag and drop your clips to re arrange them. Cut, copy, paste is added advantage of this video editing tool. 10. Adobe Premier Express: - This is one of the famous video editing tools. It contains all the necessary features which are required to make a perfect video. Using this tool is also very easy. Even small kids can use this tool for making a perfect video. So just install it can have fun. Please comment below to share your ideas and experience with these apps .Keep visiting us .